Fashionisto Exclusive: Yohan Daverton photographed by Arnaud François. 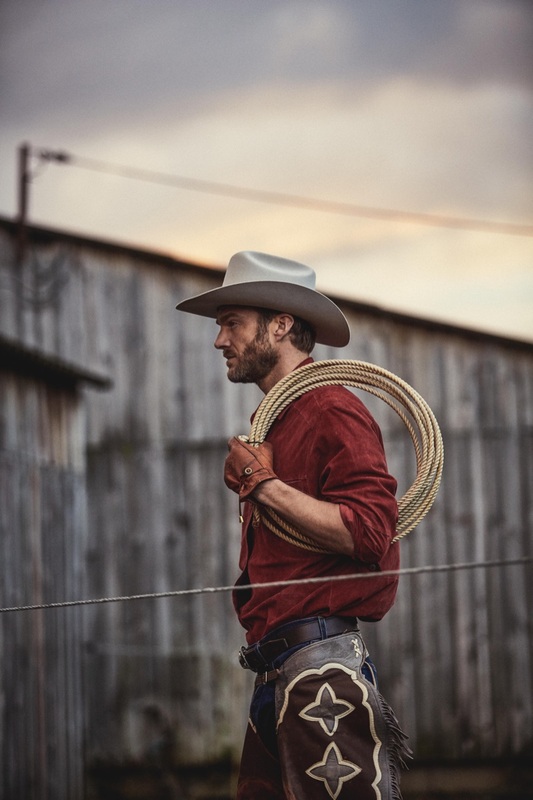 Yohan wears hat and gloves Stetson, vintage shirt Ralph Lauren, jeans Wrangler, chaps and belt Harpo Paris. Photographer Arnaud François takes us back to the range with a new exclusive. 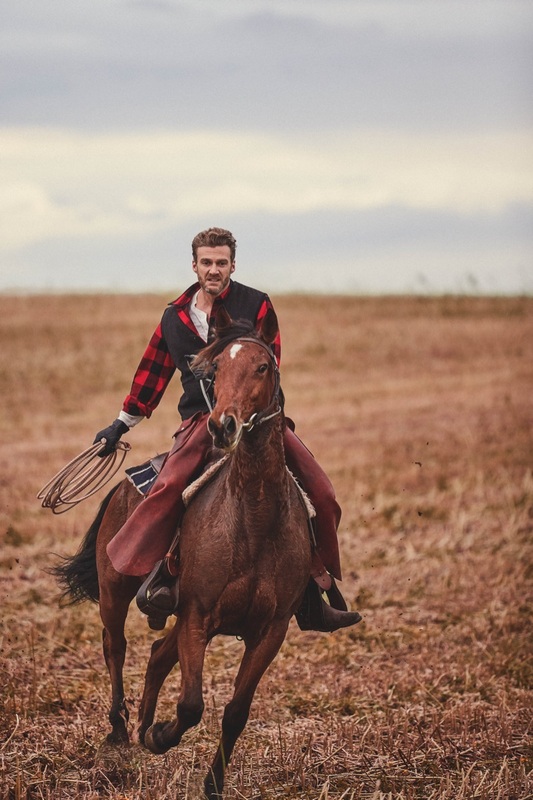 Elite Paris model Yohan Daverton steps into the boots of a cowboy as he embraces western style for the day. 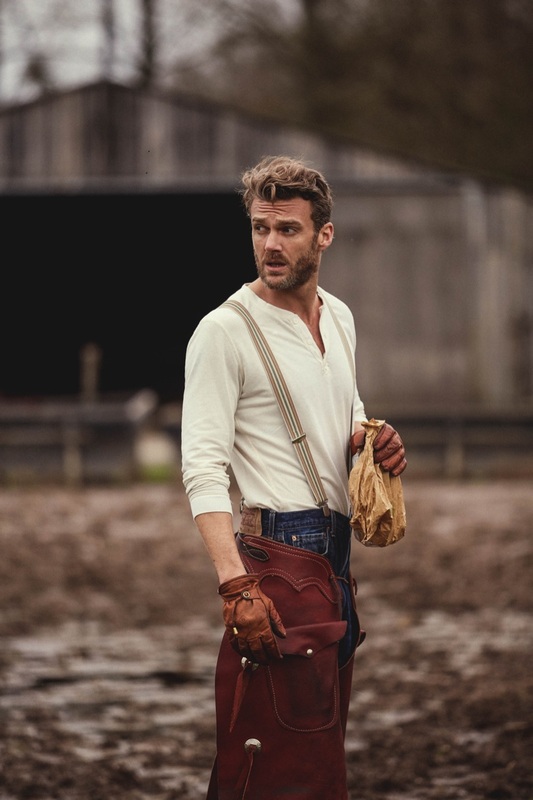 Delivering the full western experience, Yohan dons a mix of contemporary and vintage style. 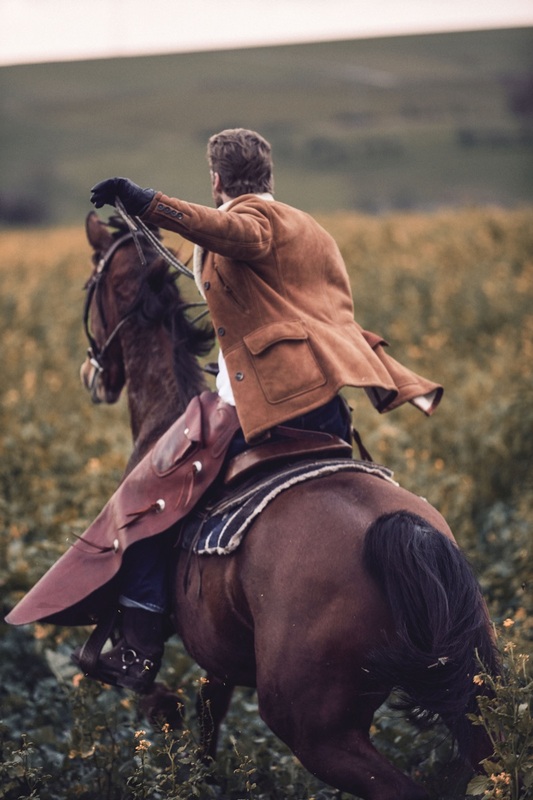 In fact, François outfits him in a selection that includes chaps, western shirts, coats, and more. 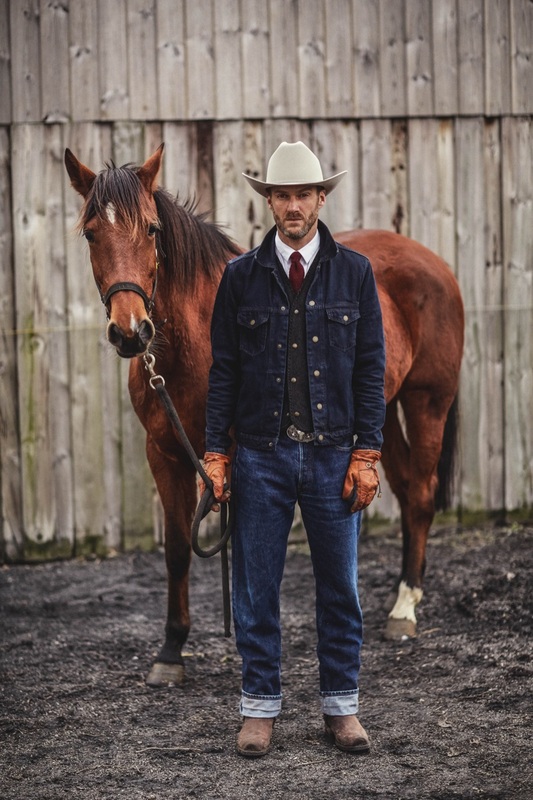 Front and center, even on horseback, Yohan wears brands like Stetson, Wrangler, and Levi's. Yohan wears suede jacket Schott, jeans Edwin, chaps Harpo Paris, and boots Marlboro Classic. Yohan wears jeans Levi's, shirt Edwin, and vintage suspenders. 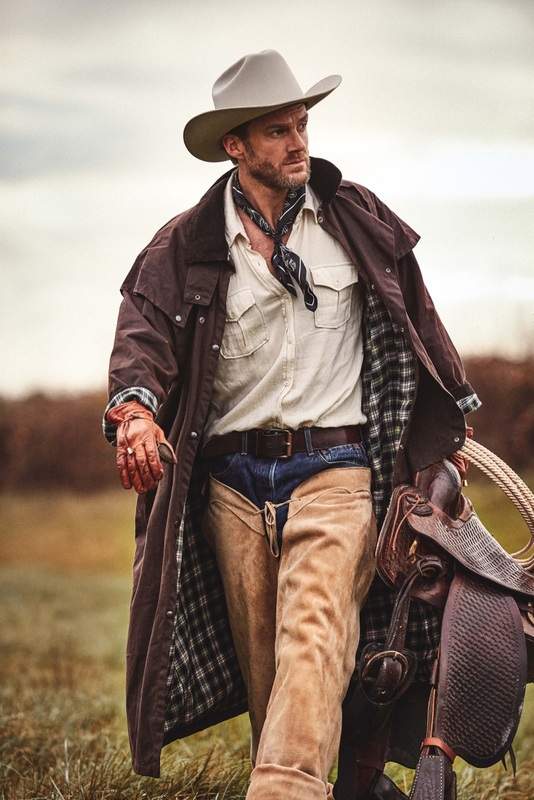 Yohan wears buffalo check jacket Filson, shirt Wrangler, chaps Harpo Paris, boots Marlboro Classic, and vintage gloves. Yohan wears hat and gloves Stetson, shirt and jeans Levi's, coat Barbour, vintage scarf, and chaps Harpo Paris. Yohan wears hat and gloves Stetson, shirt Ralph Lauren, vintage vest, jacket and jeans Wrangler, boots Marlboro Classic, belt Harpo Paris, and vintage tie.